The basket can be reused for storage purpose. 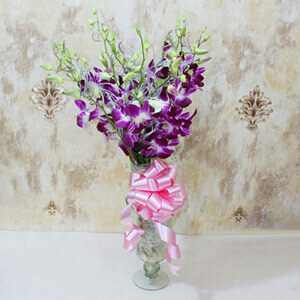 Oasis foam is used to keep the flowers fresh got longer time period. Queen Cleopatra covered the floors with reed Rose petals on the arrival of Mark Anthony. 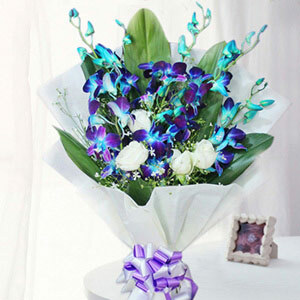 Orchids bear millions of seeds, out of which few only mature into an Orchid plant. Looking for a special gift for somebody special in your life? 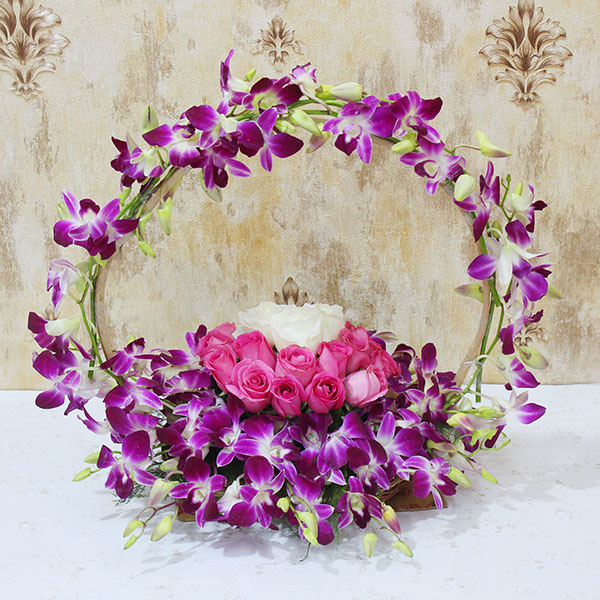 If yes, then we have this dashing designer basket arrangement of flowers that suits as a gift for any occasion. 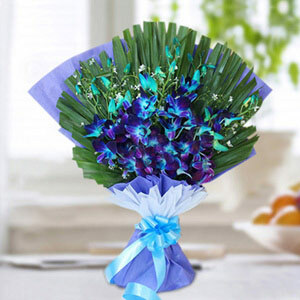 This arrangement is sure to delight your recipient very much. So, place your orders to surprise them.